Looking for a good-for-you banana split? 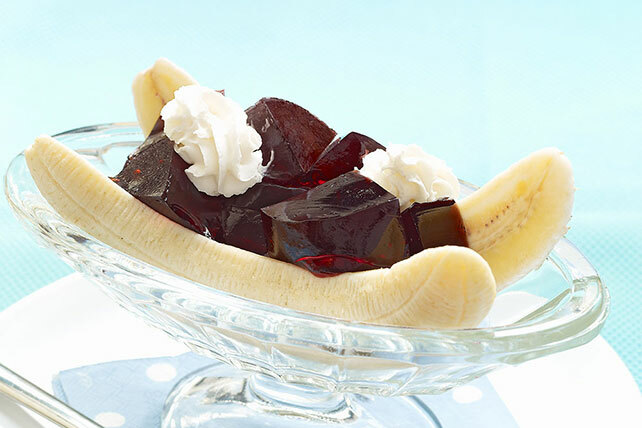 Look no further than this dessert made with sliced bananas, sugar-free JELL-O and a dab of COOL WHIP LITE. Place banana in dessert dish. Top with gelatin and COOL WHIP. Garnish with a Bing cherry. Prepare using your favorite flavor of JELL-O Gelatin Snack.